يضمن فندق The Blenheim Hotel الذي رمم في لزائريه قضاء وقت ممتع في سيدني، سواء جاؤوا في رحلة عمل أو سياحة. يحظى هذا الفندق ذو 4 نجمات بمكان ممتاز يسمح بالوصول إلى المعالم السياحية الأكبر في المدينة، فهو يبعد مسافة 14.Km عن صخب المدينة. يوفر الفندق بفضل موقعة الجيد وصولاً سهلاً إلى أهم معالم المدينة.
. يعمل The Blenheim Hotel على ضمان إقامة مريحة لضيوفه من خلال خدماته الممتازة وحسن ضيافته. يمكن الاستمتاع بمجموعة من الخدمات على أعلى المستويات في الفندق كمثل واي فاي مجاني في جميع الغرف, خدمة التنظيف يوميًا, مرافق مخصصة لذوي الاحتياجات الخاصة, تسجيل وصول/خروج سريع, تخزين الأمتعة. تعكس غرف الفندق البالغ عددها 18 المنتشرة في 4 طوابق جواً من الدفء والألفة.خدمات عصرية مثل تلفزيون بشاشة مسطحة, اتصال لاسلكي بشبكة الإنترنت (مجاني), غرف لغير المدخنين, مكيف هواء, تدفئة موجودة في بعض الغرف المختارة. صممت خدمات الاستجمام في الفندق والتي تتضمن حديقة لمساعدتك على الاسترخاء والراحة. مهما كانت دواعي سفرك فإن The Blenheim Hotel هو خيار ممتاز لإقامتك في سيدني. يُرجى العلم أن ساعات عمل مكتب الاستقبال هي من: 08:00 AM - 06:00 PM يوميًا. على النزلاء الذي يصلون خارج هذه المواعيد إعلام الفندق مسبقًا؛ لترتيب تسجيل وصول متأخر. بيانات الاتصال موجودة في تأكيد الحجز. I had a very pleasant night at Blenheim Hotel in a Queen Room. 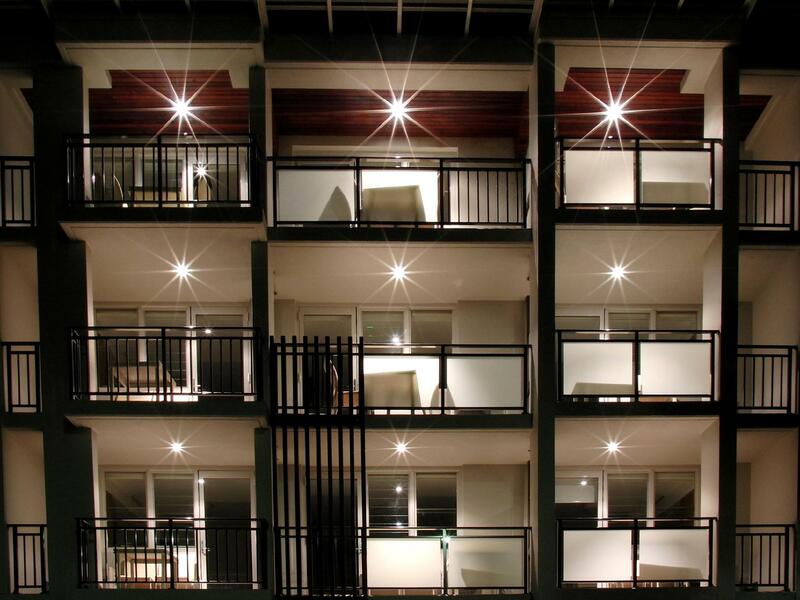 The room was modern and well equipped, and had a nice balcony facing the street. The bed was very comfortable. The bathroom was quite small, but efficiently laid out. The room was very clean. 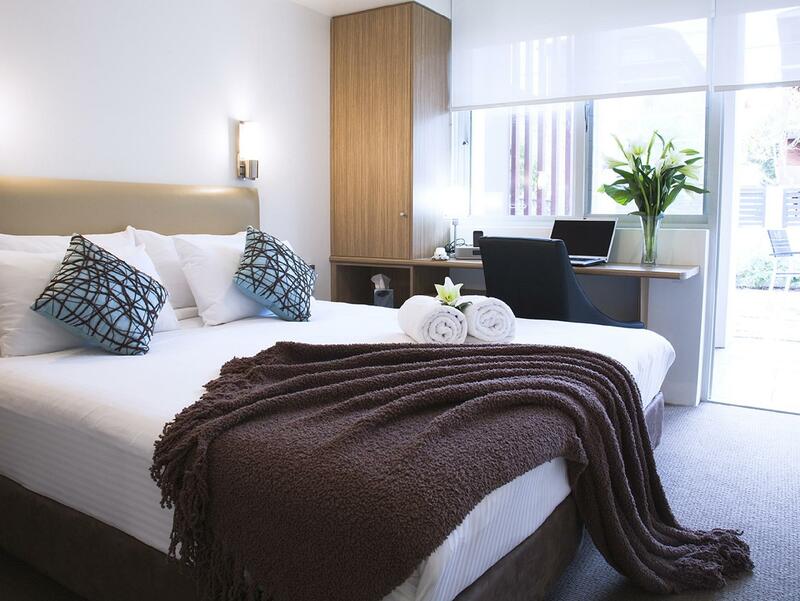 The hotel is very conveniently located for business at the hospitals across the road, and the University of New South Wales. There are numerous eating places and supermarkets very close to the hotel. There is also very good public transport, even though the bus stops outside the hotel have been temporarily relocated nearby while the light rail project is constructed. 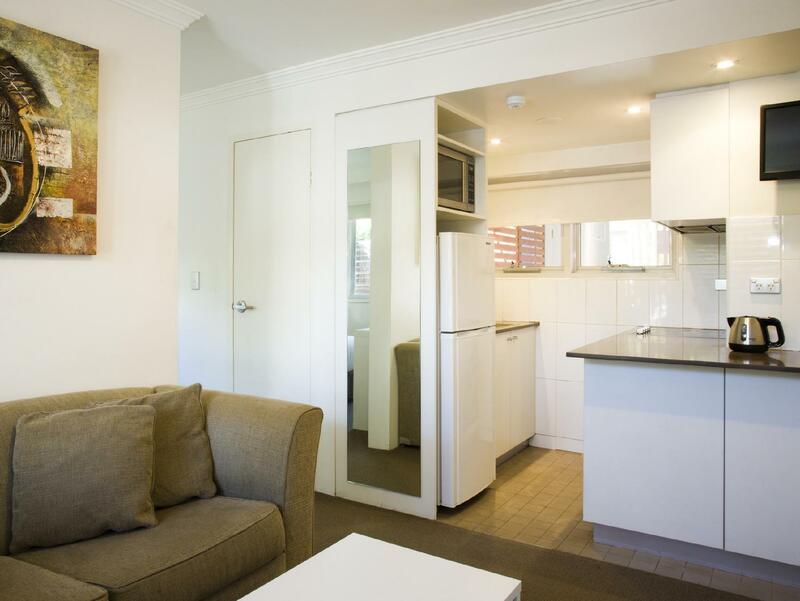 Buses to Sydney city and Circular Quay, Bondi Junction, and the Domestic Airport can all be boarded from stops within a five minute walk of the hotel. Staff were efficient and friendly. Although the reception desk is not always attended, there is a number to call, and the response to my call was very quick. I'm definitely a return guest. Good location. High street currently busy with construction. Good noise insulation. Good facilities. WiFi had a poor connection. 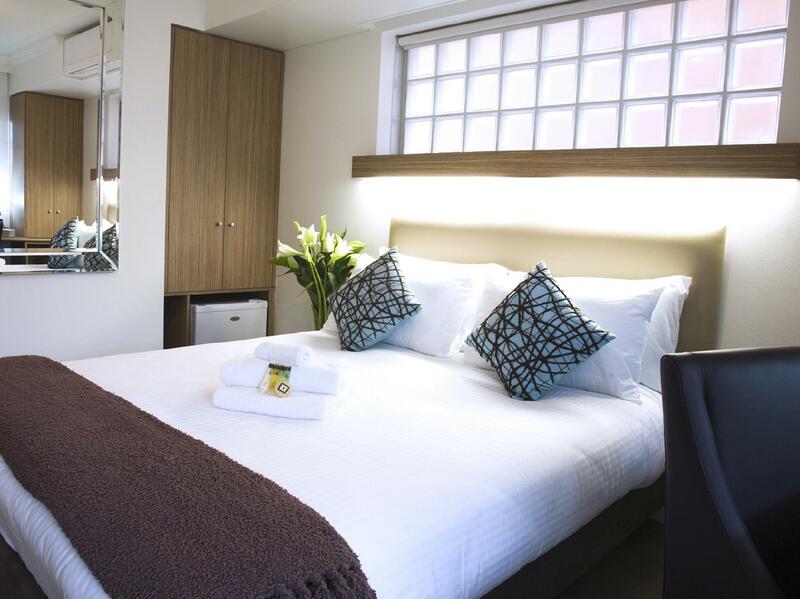 The Blenheim Hotel is a great place to stay. The location was excellent for what we wanted to do in Sydney. The staff were very friendly and helpful. The only complaint I would have was the lack of car parking. it was a standard room. we needed to bunk before our morning flight. the bus stop opposite had a convenient bus straight to the airport, though the journey is around 40 mins. must eat at the nearby chinese restaurant. excellent food! We had an enjoyable stay, it was our second stay at this hotel. Only one complaint, the lift was out of order, didn't worry us but any one with a mobility issue would have been in trouble. Will use this hotel again. Fantastic service, perfect location for what we required. Would recommend more information about parking availability be provided when booking (we have no complaint about parking as we rang the night before to inquire and received a parking space, but there is very limited parking in an extremely busy location). Cannot fault the room, the facilities, the location and the staff were very helpful. Very highly recommended. Wifi didn’t work both weeks I stayed. Room is equipped with fridge, small tv, electric kettle, table lamp, hairdryer, airconditioner/heater, phone. Got to pay extra for wifi. Room cleaning service twice during my one week stay. Traffic noise during the night. Mosquitoes in the room. There is a common kitchen and laundry place. Nothing fancy. Just adequate. Hotel unattended on arrival, even though notice on door said it should be. Various phone numbers provided did not answer at first but eventually made contact with someone who told us how to access keys. Hotel has maintenance issues...bathroom sink didn't drain, soap holder and tap handles in shower kept falling off, hot water kettle in room didn't work (and the one in the hotel kitchenette didn't either). Bathroom door appeared to have been spayed with urine and not cleaned. We had to complain(something I don't do lightly) as the bathroom and kitchen were filthy. The kitchen floor looked like it hadn't been mopped in weeks, the cutlery draw was full of coffee and food crumbs, cups had been put away dirty and I cleaned the benches on arrival. We booked apartment as it had fully equipped kitchen, I was going to be in the hospital across the road for surgery, so hubby needed a "Basecamp" for a couple of days, only to find (after buying microwave dinners) the microwave had been removed. The toilet seat was broken and fell off each time toilet was used and the shower was beyond filthy. Thankfully the bedroom was clean and it was generally convenient. The bed was very uncomfortable there were 2 single beds put together to make a king. It kept pulling apart leaving a big gap between the beds. The room smelt musky and the bathroom was to tight space wise. The hotel is basically like a motel, with rooms that can be accessed from the street, no security, and no additional internal latches/locks on the door, other than a basic turning latch. The night I was there was very noisy, with a noisy party of people in the hotel, a party going on next door, and traffic noise. The bed was comfortable, but the room is so small that the fridge is very close to the bed and hums on and off all night long. The blind mechanism was broken, and the room was very shabby, although clean. The bathroom was so small the door had to open outwards, and wouldn't stay open, so it was very claustrophobic. The shower was good, and basic amenities and hairdryer supplied. I couldn't bear to spend a second night there though, and even though I had booked 2 nights, I left after one. The address is on a side road, whereas the entrance is in a main road, so it was hard to find, especially as there is no sign. Maintenance wasn't great, handle fell off bathroom cupboard, and service was unreliable. Traffic noise is noticeable. Very average. Room very small and bathroom even smaller. More attention to detail required - room for 2 - with one cup - no teaspoon only a desert spoon and not enough sugar, chair had not been cleaned and had crumbs all over it. Man on reception very nice and helpful. The bathroom stinks as well as the room carpet. The housekeeping only came to clean the room after 4days when I reported at the reception that no one cleaned up yet. Unsatisfied!